Informal sector plays a critical role in making our cities more “livable”. When we talk about municipal solid waste management, informal waste workers are largely responsible for recycling at least 1/3 of cities waste on a daily basis. As a group, they suffer from multiple marginalisation and discrimination. As a result, they lack access to basic facilities, like housing, sanitation and education. Gautam is one of such bright student. Born to a family of 5 siblings, his parents work hard as waste workers to ensure their children don’t go to bed hungry. Because you have to stay alive to dream. 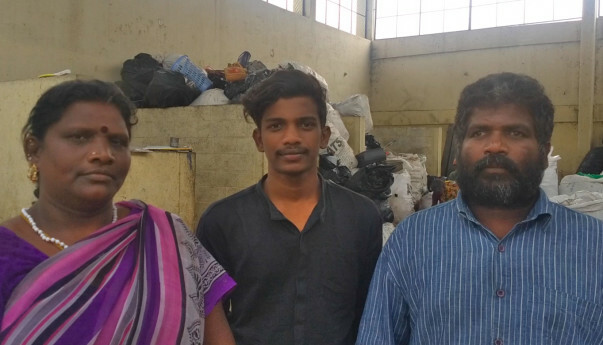 Gautham's mother, Nadhiya segregates waste at a dry waste collection centre (DWCC) operated by her brother, Krishna for the Bengaluru Municipality. 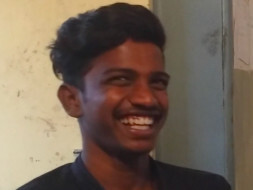 Gautham's father, Venkatesh, works at the same place. He collects waste from residential households. 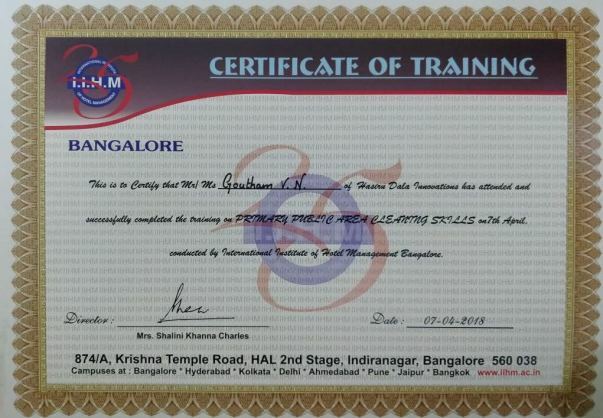 Gautham has been helping Krishna while studying with accounting at the dry waste collection centre since last 2 years. He got 70% in 10th class. Today he is preparing for the common entrance test for engineering in Karnataka. 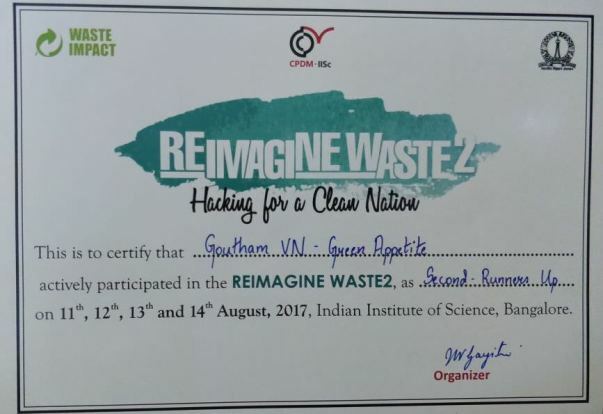 Gautham participated in a hackathon called Reimagine Waste 2 in 2017 at IISc, Bengaluru. He also attended Public Area Cleaning Skills training program organized by Hasiru Dala. Gautham is a talented youth residing in the slums of Bengaluru, with a hope for a better tomorrow. Nitin and Archit met Gautham at IISc. They were impressed by Gautham's passion to build and design technologies to solve problems in waste management. 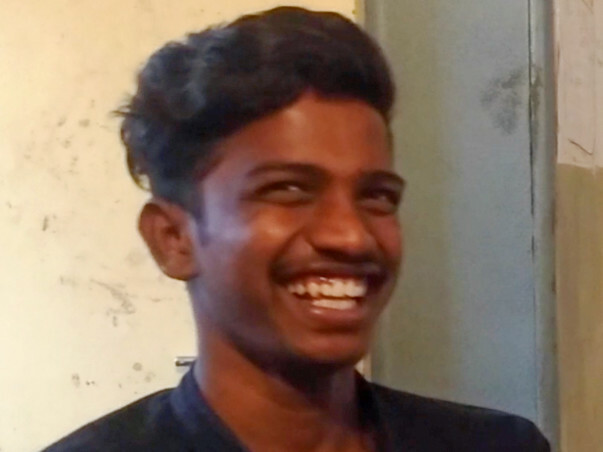 Thus, they decided to start a crowdfunding campaign for Gautham's better future. Gautham has clear his XII with 55%. But he wasn't able to crack the common entrance test. But, now is not the time to lose focus. His passion for robotics is still brewing. After the results, he found out he is eligible for a 3 year BCA course at SPM College. The cost of education will be around 2 lakhs. As a result, we have requested to re-adjust our target to 2 lakhs and make another quick sprint to raise maximum possible funds. Please continue to share this campaign. Thank everyone for your love and support! To make sure this campaign is a success, Nitin and I urge you to share this campaign so that we are able to help Gautham in his education. 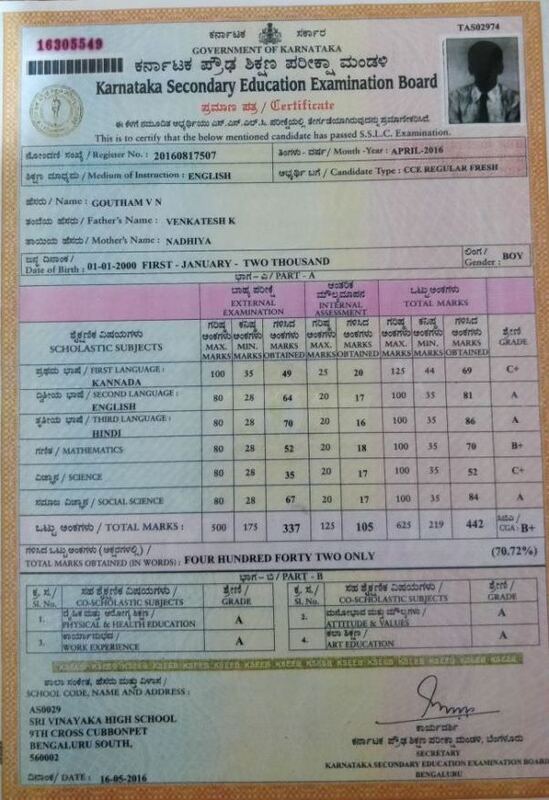 PS: We'll share Gautham's XIIth and Common Entrance Exam for Engineering in Karnataka's score.